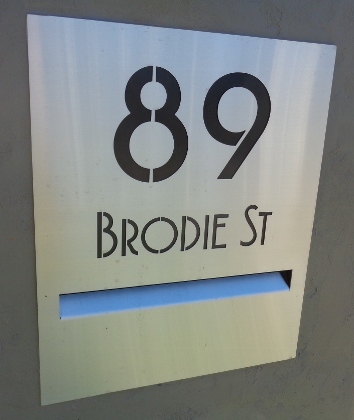 Modern stainless steel house-sign Laser-cut sign  - $157.00 : Letter Box King, Best value letter boxes and lettering! 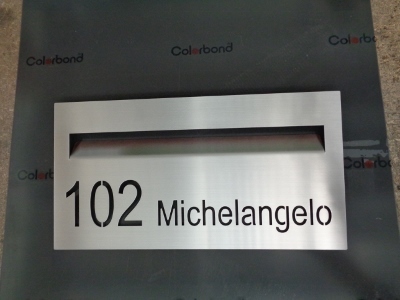 Modern laser-cut stainless steel house sign made from 1.5mm marine grade 316 brushed stainless steel. 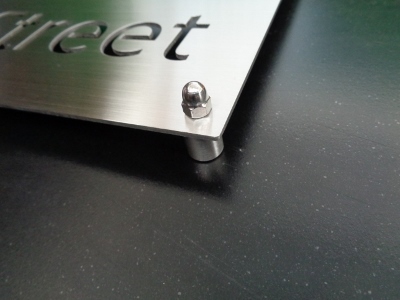 The sign has 4 fixing holes, if you can request without holes. 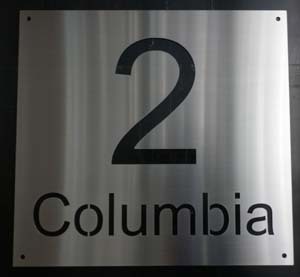 This sign can be made bigger, please email or ring us for a quote.